Self being the only eternal and all pervading Reality, Its seekinng is like searching for the forgotten necklace which is always lying round the neck. It is ridiculous to seek that which is eternally ever Here and Now. Who am I apart from the Self to wish to seek It ? Sri Bhagwan says that it is like a drunken man who has forgotten his identity and asks, "Who am I?" Need for us to ask ,"Who am I?" arises because we have forgotten our identity with the Self and identify ourselves with the body. There is no need for endless seeking in books and outside of oneself. Repose can be secured easily by proper enquiry as taught by Sri Bhagwan or by surrender to the Guru and keep quiet. Sri Bhagwan says that people read in books ,"hearing, reflection and one pointedness are necessary". They think that they must pass through savikalpa and nirvikalpa samadhi before attaining Realization. Why should they wander in that maze ? Sri Bhagwan says that (Talks, no. 332) " some people read them (ponderous volumes like Vritti Prabhakara etc.) and then seek sages only to see if they can meet their questions. To read them, to discover new doubts, and to solve them, is a source of pleasure to them. Knowing it to be sheer waste, the sages do not encourage such people". Sri Bhagwan asks, " What do they gain at the end ? " " IT IS ONLY CESSATION OF THE TROUBLE OF SEEKING. " At long last, we find that the Self is eternal and Self-evident and all one needs is the "SUMMA IRU" or JUST BE STILL. Say who can reveal it in spoken words? A simple man, not learned, is satisfied with japa or worship. A jnani is of course satisfied. The whole trouble is for the book worms. Well, well. They will also get on. Sri Bhagwan says (Talks, no. 332) that " those familiar with logic, Vritti Prabhakara, Vichara Sagara or similar large works, cannot relish small works like Truth Revealed dealing with the Self and that pointedly too, because they have accumulated vasanas. Only those whose minds are less muddy, or are pure, can relish small and purposeful works." Sri Bhagwan says that even book worms will one day come along. However, it is obvious from the above two statments that Sri Bhagwan does not criticise study of small books dealing pointedly with the Self. He Himself has written a few invaluable books which are of utmost importance to the seekers of Truph from all over the world. What Sri Bhagwan seems to be criticising is those books which are full of misleading details, false exaggerations and worthless logic. It is noteworthy that Sri Bhagwan says that those familiar with logic and with large works are incapable of appreciating small works which deal exclusively with the Truth and the way to It pointedly like Truth Revealed. Scholars cannot relish them because they contain neither technical details, nor critical arguments nor elegant words and phraseology. They have accumulated vasanas. Sri Bhagwan says that sages do not encourage such people for they even seek to test the sages with ther brain-racking questions and arguments. Thus, it follows that the books of the book worms are worthless for the purpose of Self-Realization. However, Sri Bhagwan is not opposed to reading small, pointed and purposeful works like 'Who Am I?' or Truth Revealed etc. Sri Bhagwan is not opposed to study of such works for intellectual conviction as well as reflection. a sincere seeker. He agreed and said that people want more elaboration, asking how will this small book give everything? Most of us, ordinary people want only large books thinking that large books alone shall explain the truth. How misguided are we! is only commentary on ULLadu Narpadu. Dear Sir, I wish to know whether Sri David Godman is still available for meeting devotees and seekers of Truth ? If yes, where and how ? Sri Bhagwan says that one does not relish small works like ULLadu Napadu etc. which deal with the Self and the way to It pointedly because of accumulated vasanas. Here also accumulated vasanas are at the root of the problem. Sri Bhagwan's saying that such people are incapable of relishing such purposeful works, in my view, is akin to saying that one is not able to do Self-enquiry. Sarma's translation, by Brahmasri Nochur Venkataraman. David Godman is available in Tiruvannamalai. But one should meet him with prior appointment. A couple of times or so in a week, he comes to the Asramam to spend sometime in Samadhi Hall and to collect his letters which are addressed c/o Sri Ramanasramam. Sri Bhagwan says that the Self is within five sheaths. It cannot be found in books. However, for understanding the Path and intellectual conviction and certitude, purposeful books dealing pointedly with the Reality and the path to It are essential aids particularly on Jnana Marga. And I feel that Sri Bhagwan's books like ULLadu Narpadu, Upadesa Saram, Who Am I ?, Self Enquiry, Spiriual Instruction, Talks etc. are more than adequate for the purpose of Realisation. I do not know any work which is even remotely on par with any of the above mentioned Sri Bhagwan' books. They are unparalleled in the history of spiritual literature and will remain so for ever for they are timeless and form the part of the sacred Vedanta. Dear sir, thank you so much for conveying important information on Sri David Godman. I shall seek an appoinment with him when, by Sri Bhagwan's Grace, I visit Sri Ramanasramam next time. inter alia, stories of devotees like Kunju Swami, Ramanatha Brahmachari, Kavyakanta Ganapati Muni, Echammal, N.R. Krishna Murty Iyer, Narayana Iyer, Muruganar, and later devotees like Lakshmana Swami, Papaji, and Wolter Kiers. These volumes are quite helpful to find how these ardent devotees were helped by Sri Bhagavan in the path of Self Realization. Dear Sir, while I had been on my way to Sri Ramanasramam from Bangalore by a volvo bus in Nov. last year during Deepam Ceremony, a lady devotee, sitting in front of me, was carrying part one of 'The POWER of the PRESENCE' edited by Sri David Godman. I requested her to give me the book to peruse a few pages. She gladly gave me the book. I read the story of Sri Siva Prakasam Pillai in it. The beauty of the style and presentation and the content of the book itself so deeply affected me that I decided that I must secure for myself all three parts of the book which I did from the Book-Depot of the Asramam. However, I have not been able to read them so far. Sri Sivaprakasam Pillai, one of the greatest devotee of Sri Bhagwan, is best known for the pualication of His Teachings under the title Nan Yar ? (Who Am I ? ) When the news of Sri Pillai's death in 1948 was brought to the notice of Sri Bhagwan remarked, "Sivaprakasam Sivaprakasamanar" meaning that he has become the light of Siva. Sri Pillai says that when he approached Sri Bhagwan wishing to obtain His Grace and to redeem himself, with kind words Sri Bhagwan said to him that the meaning of the word 'I' is the one indestructible Reality which exists as Supreme Bliss, as Pure Knowledge. Although it appears within this body, it is different from the body. Sri Bhagwan said that if he desires to know it, he must get rid of the attachment that takes the body as 'I' and enquire ," Who am I ? " by Pillai and kept. Later an essay version was done by Sri Bhagavan Himself. 2. Sri Ramana Anugraha Ahaval. 3. Sri Ramana Pada Maalai. 4. Sri Ramana Sarguru Maalai. 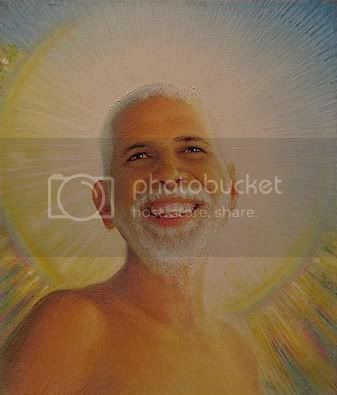 liberation, Sri Bhagavan's last days and Sri Bhagavan's Maha Nirvana. Totally it came to 915 lines. Bhagavan, by one Manikkam Pillai, Sivaprakasam Pillai's disciple. Ribhu Gita is said to be the scripture for the one lying on death-bed. The chapter thirty six of this great scripture deals with the effacing of the mind by the conviction (BHAVA) of being the Undivided Absolute and destruction of ignorance and such by the conviction (BHAVA) of being the Undivided Brahman. And, thereby, prevent the ideation of differences. " If due to tendencies (vasanas) accumulated birth after birth, mind is not able to internalise and go within and abide in the Self even after constant daily enquiry, one should resort to conviction that all ever is Brahman and that I am that Brahman and persist in that attitude until all thoughts of difference are destroyed. Sri Bhagwan has also said that if one is not able to do Self Enquiry, one should practice what is best suited to him such as japa, worship or meditation on Mahavakyas such as ' I am Brahman ' etc. However, as long as one has not realised his iedentity as the Brahman, ' I am Brahman ' is only a thought and, therefore, this meditation is objective where as Self Enquiry is subjective. Bhagavan recommended reading Ribhu Gita for everyone, at all times, whether one understands that or not. Is there a recommended English translation? There is one translated from the original Tamil by Dr. H. Ramamoorthy and Nome but I'm not sure about the quality of translation. I have a slim pamphlet of Selections of the Ribhu Gita, but would like to read the whole thing. Is this a good translation?